Titan is a Certified Narcotics Detection Dog. Bibaa is a Certified Narcotics Detection Dog. Xima has very solid obedience training. She is smart, consistent, fast learner and eager to please. She is currently working on her Narcotics Detection. She has been imprinted on Cocaine, Heroin and Meth. Xima works at a slow, steady and consistent pace. She loves people and is very socialized. She is great around other dogs and kids. Xima is a very petite female. She is very proportionate and is an overall athletic and fit girl. 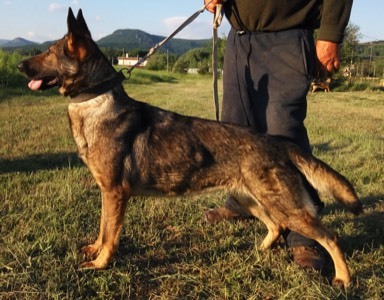 Xima will be an incredible working dog with high athletic ability! Please call us for more information, videos and/or photos of this incredible girl. 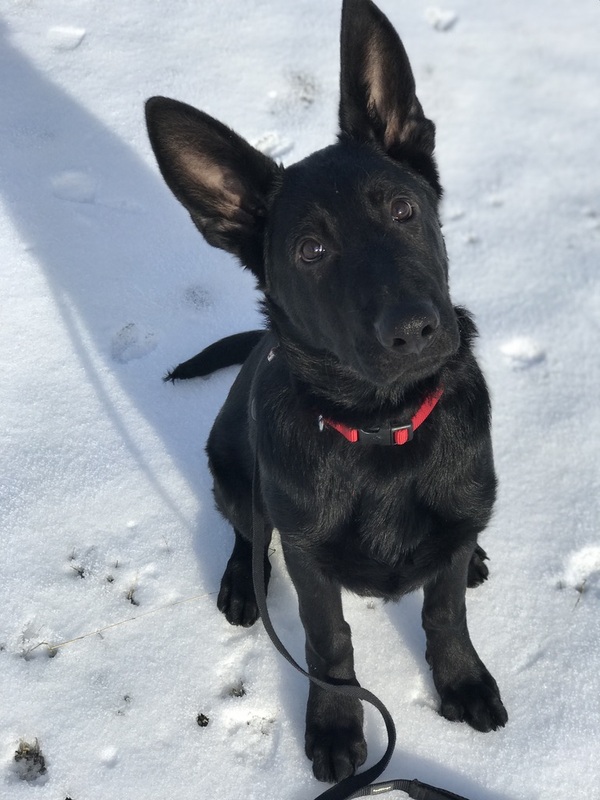 Xyrus is a beautiful solid black GSD that is smaller in stature but very mighty. He is smart, quick, very obedient, and consistent. 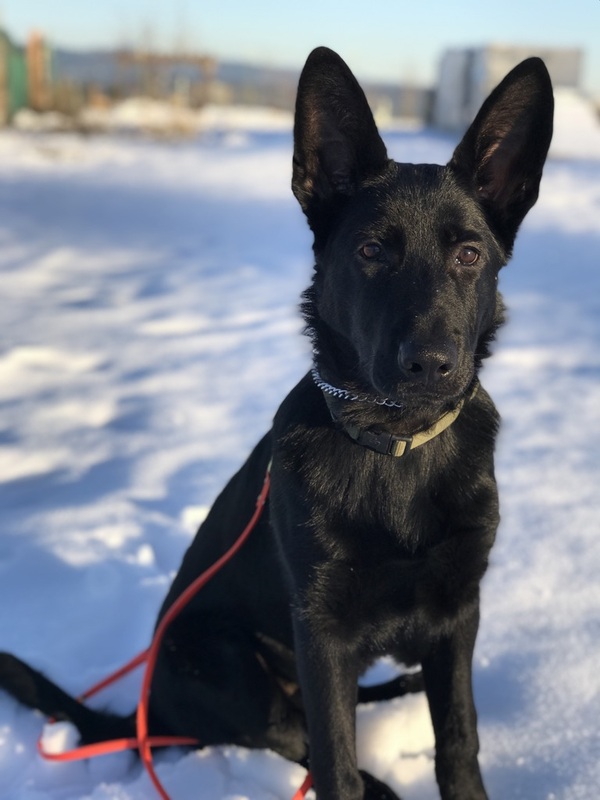 Xyrus has had extensive obedience training and is currently imprinting on Explosives. He has been imprinted on Black Powder and Dynamite. He is proving to be a very solid and consistent worker. 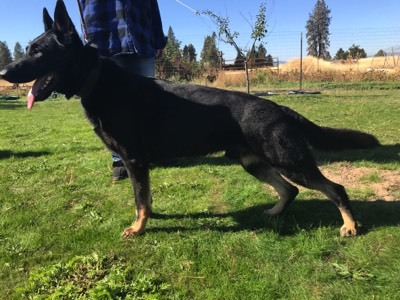 Solid Black German Shepherd with great athletic features. Smaller in size, great top line, and very proportionate. Will be an incredible Explosive Detection dog. Please call us for more information, videos and/or photos of this incredible boy. Xoltan has had extensive obedience training, very well behaved, socialized around dogs and people. Very confident young pup, promising grips, ball drive and consistency. Xoltan has started on Explosive Detection work and imprinting has begun with Black Powder and Dynamite. 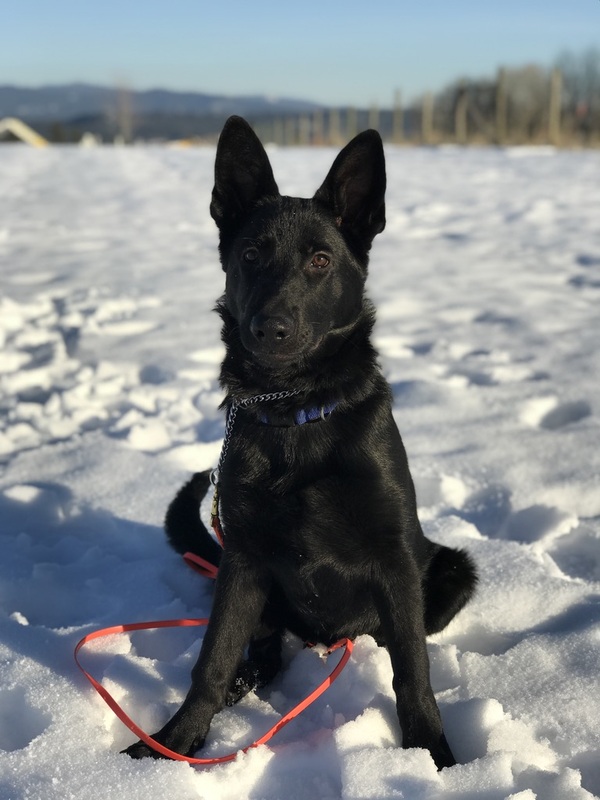 Xoltan is trained daily on obedience, ball drive, and detection. Xoltan is on the larger side with a very masculine head and physique. He has a great top line and extremely athletic. He gets along well with people, children and dogs. He has a happy, confident and stable temperament. This boy will do amazing things! 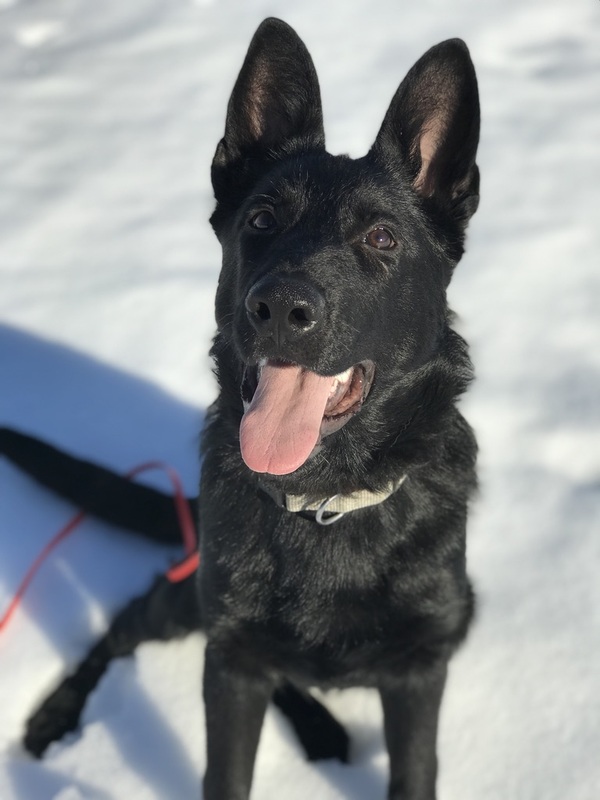 Xerxes works on his obedience training, ball drive and detection work daily. He has mastered his basic obedience and is working on his advanced obedience. Xerxes is currently working on his Explosive Detection training. His is currently imprinted on Black Powder and Dynamite. Xerxes is an excellent candidate for a Dual Purpose dog. Xerxes is a solid black male that is smaller in size. He is extremely athletic and very agile. He is fast and eager to learn and please. He will do whatever you ask of him. He is great around other dogs and people. He will be amazing in a home as well as in the field. Please call us for more information, videos and/or pictures of this incredible boy. Xavier is an AWESOME dog! He is absolutely rock solid. Candidate for Dual Purpose. His drive is off the charts, he will hunt no matter what until he finds what he is looking for. He is mentally sound and stable, great around dogs, kids and people. He has had extensive obedience training, imprinting on Narcotics. He already knows Cocaine, Heroin, Meth, and PCP. This boy is going to go far and be successful at whatever you want him to do. Xavier is a solid black, smaller in size, very agile, fast, quick learner and ROCK SOLID! So excited to see where this boy takes us. Please call us for more information, videos and/or pictures mom this incredible boy.